Remember the other day with the none-white kitchen post, when there were several requests for the Farrow and Ball kitchen cabinet colors used by De VOL kitchens? Well, actually, De VOL found the post because they are super on the ball, social media-wise and asked me if it would be all right to keep me in the loop. Of course it would be all right! And then, I seized upon the opportunity to ask as politely as possible if they might part with the Farrow and Ball colors they used for their standard colors? Oh, pretty please with a dollop of clotted cream on top? By the way, have you ever had authentic English scones with clotted cream? If not, then you’ve missed out on one of the most heavenly things you will ever put in your mouth. I had a feeling this would be their answer and I don’t love them any less for it. It also didn’t stop me. Detective work. Some people like panning for gold. Much of it already out there, one just needs to take the time to find it. But, before I reveal the goodies, please note that colors can vary from dye-lots and they will almost definitely look different in your home than they do on your computer monitor, so please test, test, test! Let’s begin with my tall, dark, handsome, mysterious hunk from De VOL that I’m mad about. Well, I’ve looked at many images, and I do know that the English are bonkers over Farrow and Ball Down Pipe. And for a very good reason. It’s a wonderful color! it looks different in every photo I see. I’ve seen it look almost pastel to almost black. But usually, it’s a dark gray-blue-green or dark gray-green-blue. This one, from De Vol, I did find out is Plummett which is a more medium-dark gray-blue-green. Shaded White is one of those colors that changes from a kind of soft cream, to a dirty cream, to a warm gray-green. I love colors like that and it’s a wonderful color to warm up a dreary, cold kitchen. Railings is definitely one of the De Vol colors. On the card it looks black, but it’s really the darkest navy possible. There’s a phenomenon that I’ve discovered over the years but I’ve never heard anyone talk about it. But, depending on the direction of the light and especially if there are a lot of windows, the lower cabinets can look a LOT lighter than the upper cabinets. So, some of these dark colors if only on the lowers, will look lighter than they might look on the wall, for instance. Railings on an island in a kitchen by Humphrey Munson who Emily T turned me on to after Wednesday’s post. OMG. You must check out their instagram account. But go grab a drool bucket first. 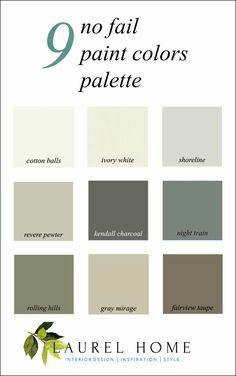 Note: March 2019, I have subsequently found out that the colors may be similar to some Farrow and Ball colors, however, Humphrey Munson has their own proprietary colors. I think this would make a fabulous butler’s pantry with the black subway tile. Railings is a terrific color for exterior trim too. Seriously, this is the most clever thing ever. Sarah is installing custom doors over Ikea cabinets. And yes, they are in Farrow and Ball’s Pigeon, which is a medium-dark-gray-blue-green. There’s tons of info in Sarah’s link about the process, the before images… Great blog! Here’s the finished kitchen. The uppers are Wimborne White. Well, it’s not really white, but it sure is one of the loveliest grays in the universe. A lovely kitchen from Maple and Gray. Another UK manufacturer of bespoke kitchens. And they also give out their paint colors. Farrow and Ball’s Pavilion Gray stays pretty true to gray and is absolutely gorgeous. Just like this kitchen. This is a really nice website and they DO give a lot of the Farrow and Ball cabinet colors that they’re using for their kitchens. Well, I don’t see the big deal. If folks want to work with the company, they’ll still work with the company and if they never were and are only repainting or something, it’ll make them think fondly of the vendor and perhaps recommend them to someone. Just my thoughts. Lewis Alderson is another beautiful English cabinet company. Someone said again that they are worried that in a kitchen with no uppers, there won’t be enough storage. No, there is usually MORE storage. Or, perhaps I should say, more efficient storage. This unfitted pantry is a wonderful example of that. French Gray is similar to Pavilion but with a soupcon of blue-green which is also very, very pretty and classic; just a little more color. And please check out Neptune Kitchens. Really pretty! Okay, Everyone loves this De VOL kitchen even if they don’t like dark green. There’s just something so luxuriant in this color. By the way, did you know that De VOL spelled backwards is LOVED? It’s not intentional, I don’t think. I looked at all of the greens. Hmmm… I even looked at the archived greens. Hmmm… again. The one I kept going back to was Studio Green, but it is VERY dark on the chip and quite dark in most images. But the one below, came from the Farrow and Ball Website and looks like an exact match. So, let’s just go with that one. For reference, please also check out Melissa Tardiff’s gorgeous green kitchen. I’m not saying that it is… Please test. For Studio Green to lighten up this much, it would need to be in a very bright room! Cromarty is a pale watery, gray-green which was introduced to the line about a year ago. If you want to see the other eight new colors, please click here. Oh my, how handsome is this kitchen with Lamp Room Gray Cabinets! It’s another classic– a rich sophisticated gray with just the right amount of blue and green. Wimborne White is my favorite F & B white. It’s just warm and lovely. A true white classic. It’s counterpart in Benjamin Moore is Simply White. Another stunner from Humphrey Munson. Love the white on white. And the wood pantry is a stunning addition. I also love the antique mirror backsplash behind the range. Please have a beautiful Sunday and rest of your weekend! Please Click Here for the 2018 updates. and, here for the 2016. Can You Use Gray Paint in a North Facing Room? My husband has been hunting for that exact blue and we couldn’t find the color in Benjamin Moore. You’ve nailed it for us!! We are redoing our kitchen and doing large 8ft x 6ft island in Railings. Do you think Shaded White would be a good compliment color for our surrounding kitchen cabinets (i.e. uppers and lowers)? I’m sorry, and no worries, you’re like the 7th person today on different posts, but I can’t give out paint recommendations for rooms I’m not standing in. Hope you’ll understand. It’s a common misconception that we are able to do that. But it’s just like a doctor has to see you if you are sick. They never diagnose over the phone. I’m not sure which one, but that looks a lot like F&B Blue Gray which is one up from Pigeon. I had a client do Blue Gray on her island and it is very pretty, but look at Pigeon too if it’s just the island. I used Farrow & Ball in our red dining room and noticed how super saturated the color was, it seems to add depth to the wall. Up there 20 years now and it doesn’t need anything touched up. It is always so enjoyable to read your color articles, it seems that everyone agrees. Yes, I’ve seen it many times and it always makes me laugh too. Oh, I just remembered, that I took great pains to get a screen shot with just the right facial expressions. Oh, just wanted to add, that I love the way the ceiling works in the kitchen. In a million years, would’ve never thought to do this and would’ve even said that it sounds “wrong.” Because it’s not connected to the floor or cabinet. However, if it were, the same, I think would start to feel too heavy. A White ceiling wouldn’t have looked so great either. I love, love Pigeon. It is warm and welcoming. I can’t give you any specific advice because I’m not there to see what’s going on, but definitely paint that bed! then I thought..these are probably the colors that work the best with other details of the space, details that are traditionally picked there, maybe because partially if climate, geography, etc. For example if oak floors are prevalent there(and they should be as far as I remember old ballads..because oaks are there lol) and marble is the favorite counter material..these are indeed the colors that will be the best partners, probably, to light-to mid range floors, and to marbles..
Laurel, I’m in love with all these beautiful kitchens and paint colors and your amazing blog, which I just recently found. My lucky day! I have a question regarding the finish of the paint colors. I’m in love with the soft, dull finish that you’ve shown here and in past kitchens,but the minute I call a painter I know they will say that I must use a hard, glossy finish for ease of wiping down and keeping clean. Especially for kitchen and bath. What’s your take on that dilemma? I really hope I can use the soft finish!! I will be turning a pantry closet into an open area with cabinets – kind of like a small butler’s pantry – this summer. This post is so timely as I am thinking I want the cabinet painted. I love FB colors. I do have oak cabinets in the kitchen. Not the usual cabinet door styles, that I still like. They show a bit of wear around the handles so I will either have them refinished or painted too. 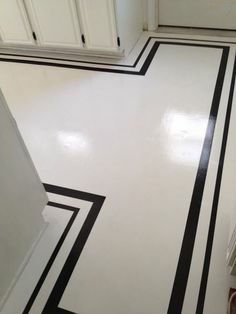 Husband is not found of the paint idea but I may be able to convince him. But, don’t lose hope. There are lots of examples throughout this blog that hopefully will appeal to him. If you type in kitchen in the search box, that’s a good place to start. And yes, the readers and commenters are fabulous and add so, so much! I have heard it said before that lacquer is or was used, but lacquer is not a pigment, it’s a coating that would go over paint. At least, that’s how I learned it. I think that oil has a more loustrous finish, however, the newer latexes are better. They can be thinned with something called Floetrol and there’s also the Advance, waterborne alkyd, but that one is very tricky to work with. I would get online and research the proper way to paint cabinets. Not sure if some are raw wood and some are new wood? New, of course is easier to work with. Hand painting is also an option, but laborious as it is many thin coats with light sanding in between. That is the most durable, but will not be inexpensive. Right now-I wished I was back in England,eating scones with clotted cream,and strawberry jam.. I hope you know how much you are appreciated & loved for all your hard work. Your readers all recognize the effort you put into these posts. I look forward to them showing up in my inbox. It’s hard for me to get anything done until your latest post has been read. Good morning Laural from England. It’s so funny seeing your blog with all the familiar F&B colours, I especially love your blog for inspiration for something different. My kitchen is F&B white tie, a warm white which fits with the cream AGA. My problem, is the now out dated granite counter tops in Giallo Veniziano. I would love to have a white marble or something similar, but I’m worried it wouldn’t go well with the deep cream colour of the AGA, and changing that, is out of the question. 😟 I long for one of your beautiful white kitchens – any suggestions, apart from moving house! Are you asking what I think about quartz or lavastone? I’ve never done the latter, but I do like the quartz composite counters. 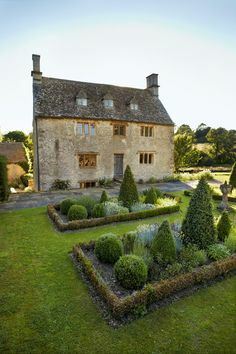 I did a quick search and found this image from Brooke Giannetti’s old home. She did Carrera. I would also look into Calacatta Gold. It’s beautiful with our white dove which is not quite as creamy as White Tie.